Acid free polyester Metallized Dura-Lar film is suited for a variety of decorative applications. A very thin coating of aluminum is vacuum deposited onto the surface of the film, which produces its reflective metal sheen. 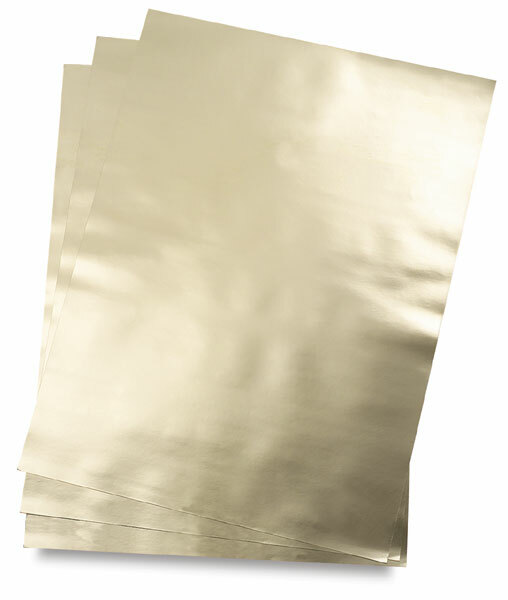 Gold w Adhesive Backing, 20" × 27"